WALT DISNEY VISITING THE BOARDWALK IN 1962. 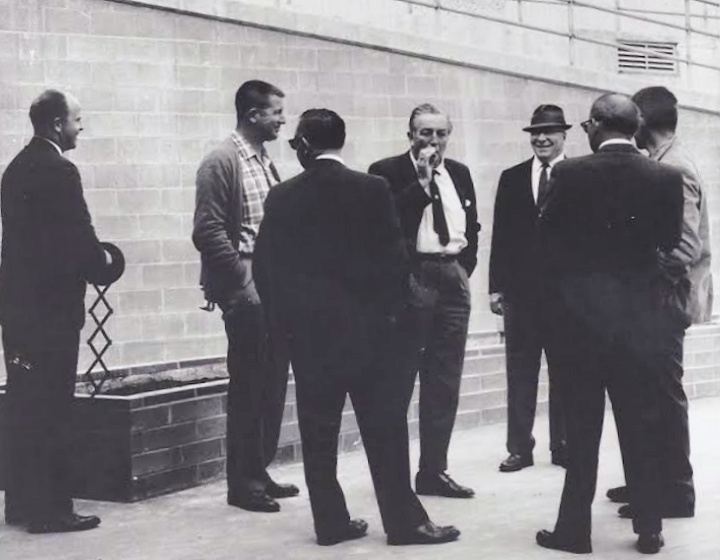 Yes, that’s Uncle Walt himself taking a puff while he’s visiting and checking the Boardwalk’s latest rides especially the rail car ride to see what’ll work in Anaheim. Walt was a chain smoker, according to history. SECRET BUILDINGS ON THE MOON!!! Makes you wonder about their intelligence. A VERY IMPORTANT MOVIE…NOW PLAYING AT THE NICK. CITIZEN JANE: BATTLE FOR THE CITY. This film is not just a documentary about the courageous Jane Jacobs it should be mandatory viewing (and memorizing) for not just the citizens of Santa Cruz who are displeased with choices our city and county officials continue to make about redevelopment, more cars and traffic, corridors, high rises, “affordable housing” and their ignoring of what’s best for the people who live here. Starting in the 1960’s in New York City and her valiant battles against super developer and manipulator Robert Moses, Jane Jacobs led and taught hundreds, no, thousands of citizens to organize and protect the heart of their cities. Whether it’s widening highways, building that parking garage (with library) , threats to the Rio Theatre and Charlie Hong Kongs, we need to learn from Jane Jacobs. We lost The Cooper House, McHugh and Bianchi, an opportunity for a plaza on Pacific. The film is about the power of the people, about fighting Planning Commissions. We need to not just learn from Citizen Jane but we need more Citizen Janes on our County and City Boards and Councils. See it quickly, Landmark doesn’t keep them long if we don’t go ASAP. Looks like it closes this Thursday 5/25!!! STOP THE CORRIDOR PLAN/PLOT. Gary Patton sent out this announcement on Facebook …Current planning in the City of Santa Cruz proposes San Jose-like high rise, high density development along Mission Street, Ocean Street, Water Street and Soquel Avenue, high-rise buildings on Front Street and downtown, and new high rise buildings on the Santa Cruz Wharf. What connects these dots? If you think traffic, parking, and water supply problems are overwhelming the City of Santa Cruz, not to mention our genuine affordable housing crisis, about which the high-density plans do nothing directly to address, then consider coming to the next meeting of the Santa Cruz City Planning Commission on Thursday, May 25th, at 7:00 p.m. in the Santa Cruz City Council Chambers. HISTORICAL PHOTO CORRECTION. Last week (scroll down to see) I ran an historical photo I labeled as being at the corner of West Cliff Drive and Bay Street. I stated it was the corner where The Dream Inn and the Sea and Sand now sit. Thanks to readers (and writers) like Linda Rosewood and others I was corrected. If you check it out more carefully, you too will see that it is really more South on West Cliff and the end of Woodrow Street with Oxford Way running parallel to West Cliff. Thanks for that, I appreciate the care and time it takes…plus just the general feedback is always welcome. ART FOR ROBBIE SCHOEN!!! Robbie Schoen ran the Felix Kulpa Gallery for years. He also hung many of MAH’s exhibits. He had a stroke in February so many, many of his artist friends are having an Art For Robbie fundraising Event and Art sale with 100% of the proceeds to go to Robbie’s expenses…and celebrate his his 59th Birthday. It’s happening Saturday June 17 4-7 pm,. at MAH, 750 Front Street. There’ll be an art sale, an auction, guest speakers and live entertainment and an update on Robie. The list of artists that are participating is too long to list and besides, you know everybody who’s on it. If you’d like to make a donation go here. THOMAS PYNCHON TURNED 80!!! May 8th was Thomas Pynchon’s 80th Birthday and probably very few wished him a Happy Day. It doesn’t seem all that long ago I met him in Aptos when he was writing his “Vineland” near saga. What’s typically unusual is that some folks pointed out that Pynchon had some Jewish moments even though he was veddy veddy British. Check them out here. GREAT DEAL FOR SOMEBODY. I have a good friend who is looking for a place to live somewhere near or here in Santa Cruz. He is a licensed plumber, carpenter, electrician, and painter. He and his wife are now commuting to their jobs here daily from Pacific Grove!!! A one bedroom or an ADU would be great and he’ll do all your ongoing necessary upkeep, repair work on your house, and of course pay a reasonable rent. Email me bratton@cruzio.com if you hear of anything and I’ll put you in touch. Thanks to the folks at Campaign for Sensible Transportation for providing an opportunity last Saturday morning (5/20) to question and hear from city staff regarding the controversial Corridors Plan. It was refreshing to have a meeting where people got to ask questions and hear the answers instead of the current trend of post-it notes, index cards and anonymity substituting for public discussion. We were advised that we should not use the forum to just air our opinions so I was a bit surprised to hear an introductory defense of dense living aired by one of the forum organizers. Of course if you like dense living by all means choose it but don’t impose it on others. City staff gave a lengthy overview of the Corridors Plan and cleared up some misconceptions. The 65 feet high buildings won’t run the length of Soquel, Ocean, Water and Mission Streets but will be in selected “nodes.” In exchange for such height and density bonuses, developers in these defined areas will have to provide some public benefits such as on-site child-care or a greater percentage of below market rate housing. Omitted from the presentation was the fact that the “nodes” can be extended by future council action according to the Corridors Plan document so there is no reliability that they won’t be extended. Omitted also was the fact that the city council could vote now to require developers to provide a larger percentage of below market rate housing without the giveaways of added height and density, which face strong eastside neighborhood opposition. Critics challenge the city to build more housing but the city’s role is to zone or re-zone land to allow for various uses including housing but not to build it. Developers with financial backing build housing. Public moneys that have historically funded low-income housing projects (as distinct from “affordable”) have all but dried up and any future public moneys for subsidized housing from the state level will most likely go to big cities, which makes sense since that’s where most of the population lives and transit systems are already established. Which leaves us with the euphemistically labeled “affordable” housing, the supposed poster child for the Corridors Plan. Currently the city requires developers to set aside 15% of market rate housing as “inclusionary” which sell for somewhat less than market rate and are often labeled “affordable housing.” This covers only “for sale” housing and does not apply to new rental housing but the city council could vote to make it apply to both. A common practice has been for developers to pay money in lieu of providing the “affordable” units in their projects, a practice which many of us have long decried. The city’s response has always been that such in lieu money is important for the city to be able to contribute to low-income housing developments. Staff clarified at this meeting that such funds are now largely useless since it takes decades to build up enough reserves for a viable low -income project. Therefore I suggest the city council immediately stop approving in lieu funding diversions for new market rate developments. A point made by staff was that south county has built more housing than has the city of Santa Cruz and many south county residents travel to Santa Cruz to work. Since all cities in California are required to reduce green house gases, it is claimed that the Corridors plan will encourage more workers to live near their jobs, thereby reducing carbon emissions. It is this assumption that attracts many environmentalists and housing activists to support density and mixed use developments. But is it true? It is well known that dense mixed- use developments drive up the value of surrounding properties. This was a point made by staff in their list of dispelling myths. And that market rate rents and prices of new mixed-use dense developments are high by any standard. Even with a greater percentage of inclusionary housing in such projects the rents will be out of reach of all but higher income earners. Rents in the surrounding neighborhoods will rise and even more lower income workers will be forced to displace to lower rent areas, furthering their car trips and increasing carbon emissions. Research into urban displacement and gentrification has documented this trend in many cities and there is no reason to expect Santa Cruz will be different. There are many more issues involved including the future loss of landmark eastside buildings such as Eberts, the Rio, Charlie Hong Kong and many others. When pressed on this issue, planner Michelle King responded that buildings have an end date. This lack of concern for what many of us cherish about our neighborhoods and local business identities along with the negative impacts of vastly increased height and density is fueling a robust push- back to the Corridors Plan. This Thursday at 7pm (5/25/17) (maybe in the Council chambers or it may be moved) the Planning Commission will hear further public testimony and will vote on critical zoning aspects of the Corridors Plan. I’ve mentioned here before that we have in Santa Cruz what is known in politics as a “council-manager” form of government, also called a “weak mayor system,” meaning the city manager functions as a CEO and the mayor is appointed by a so-called part-time council majority. This essentially means … the Santa Cruz government is run by overworked elected residents who are in turn willing to rely on technocrats to shepherd councilmembers into making the basic decisions to keep the city running. Change does not come easy within this kind of system. The current city manager, Martin Bernal, is fond of saying that there are “core functions” that municipal government is responsible for. Those are the police, fire, water delivery, city parks, and keeping the streets clean. That’s all we can do, he often says. But once upon a time, shortly after the birth of the modern Santa Cruz progressive movement, circa 1978, local government somehow found funds to preserve the Westside Community Health Clinic. Then people organized to find the money to keep the Garfield Park Library open. And of course, the Santa Cruz city social services budget was pulled out of a city budgetary morass and became a formidable funding source in trying to equal the playing field of economic opportunity. This all happened because people organized around the needs of the community—childcare, the Aids epidemic, homeless services, meals-on-wheels, senior housing, and much more have been added over the years the old-fashioned way: by taxing those who have means and redistributing it to those who don’t have so much. The voters of Santa Cruz were tired of hearing that these critical community needs were not “core” services and not what cities do. ‘That’s what the county does, they do health, and human services, the city don’t do it,’ they were told. This latter sentiment is a kind of administrative political banter that pretends not to be political, but in fact helps shape and define local politics. But the people of Santa Cruz have come to expect our city budget to include funding for the most vulnerable in our community—seniors, the homeless, and children. And we’ve done some pretty good things over the years, but the wealth gap between the haves and have nots has grown so large both nationally and locally that much more needs to be asked from the ‘Haves,’ and by the way, it’s time for the city’s core function needs to include and develop a Department of Housing and Homeless Services. It’s time to place under one roof: a) a tenant’s rights office, b) a place to assign city employees to the task of developing a real affordable housing plan, and then work with the city council in carrying it out, and finally, c) a homeless and houseless services unit. This department would be responsible for providing and overseeing mental health and addiction services too because it is time. We need to demand more from the council-manager form of government, and if they, myself included, cannot get it done we need to find a local form of governance that meets the current and developing needs of this community. Have we perhaps reached a political crossroads in Santa Cruz? As we near the 60% resident-renter mark in the face of an $805,000 median home price we are testing whether our local democratic system can be relied upon to govern fairly, especially given our community’s history of demanding social justice. The conversations I have had lately, and for at least the past three years, are about how many people are sleeping on our streets each night. People wonder. 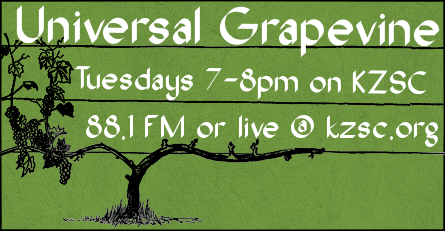 Their voices express a profound caring and interest in bettering the plight of homeless and houseless individuals. They also look to local government to marshal the resources to bare down on this community-wide emergency. Of course, people talk about the Giants, the traffic, UCSC growth, bicycle theft, housing, and more housing, but what takes up most of the oxygen in the room these days is the seemingly intractable issue of homelessness. The council has to address it, that’s what most people tell me. The Santa Cruz City Council will be meeting for three days this week, May 25, 26, and 27 to discuss our city’s $261.3 million annual budget, which includes less than 4% to actively address our housing and homeless crisis. How can that be? We were told recently by our city manager’s office that this city basically reacts to the homeless to the tune of spending over $20 million in giving them fines, fighting campsites, and fostering policies to move people along, while little very little goes towards real prevention. The funding buck could stop this week at either the desk of the city manager, or the dais of the city council. Which will it be? The council—Noroyan, Chase, Mathews, Terrazas, Watkins, Brown and Krohn—needs to act boldly when the housing and homeless services budget is discussed and voted upon. If not, the city manager’s office will continue to do what they do: administrate the “move-along-to-get-along” policies of the past decade. This city council has got to send a clear message that current and past policies to address the homeless crisis are not working. The council needs to act boldly and decisively and spend what it takes to shift the dial. If we are spending $20 million to move the homeless from campsite to campsite, we can spend at least a quarter of that—$5-6 million—to improve our shelter, counseling, and medical care services. I believe, as Barack Obama once said, “We are the ones we’ve been waiting for,” to adequately and comprehensively address the houseless calamity our city now faces. ~Bernie Tweet of the Week: “Yes. We need to go forward on the Trump investigations. But we must also address the reality that there is a lot of pain in this country”. Plan to attend the public hearing this Thursday, May 25, 7pm in City Council Chambers. The Planning Commission will take public comment, then vote on recommendations to re-zone these traffic-choked areas to allow denser, taller mixed-use development. OHLONE VILLAGE ARTIFACTS BULLDOZED AT APTOS VILLAGE PROJECT WITHOUT A NATIVE AMERICAN OBSERVER…PROTEST TO INSIST THAT THIS CHANGE. There exist five significant Native American archaeological sites in Aptos. The largest site, CA-SCR-222, is a 35-acre area partially within the boundaries of the Aptos Village Project construction site. The Environmental Review Initial Study conducted by Albion glanced over this critical information and focused mostly on the structures, such as the Hihn Apple Barn and the Aptos Fire House (which was demolished rather than relocated, as had been promised to the public). As a result, mitigation measures DID NOT INCLUDE requiring a Native American observer to be present during earth disturbance to decide if any significant artifacts are found. Instead, Barry Swenson Builder’s excavator operators decide what, if anything, is significant. Doe that give you great confidence that this significant site is being handled with respect? I don’t think so. I submitted a Public Records Act request to County Counsel Mr. David Nefouse for all reports and field notes from Barry Swenson Builder’s “qualified archaeologist” who sometimes watches from about 100′ away what the trenchers and bulldozers are unearthing (he spends most of his time checking his phone). The result was NOTHING. Mr. Nefouse did state in his letter that some material could be withheld on grounds of Government Code 6254.13(a) that allows public agencies the ability to withhold information when the best interest of the public to withhold information outweighs the benefit to the public of disclosure. Well, there go the scales of justice. The only document that Mr. David Nefouse could provide was the 2011 Environmental Review Initial Study, wherein Santa Cruz County Planner Mr. Matt Johnson declared that with the mitigations, the Aptos Village Project would have an insignificant impact on the area. Hard to believe, isn’t it? Well, Mr. Johnson always issues mitigated Negative Declarations, or an exemption from any environmental review at all…his reputation for such is well-established and recognized. So, if there are no reports or field notes, what has happened to the artifacts found? The equipment operator told me recently that “we found A LOT of stuff” in the general area of the CA-SCR-222 site. This area is also where there are likely Chinese labor encampment artifacts as well. What is going on at the Aptos Village Project construction site? Who knows? Does the County Planning Department even care? I don’t think so. A PROTEST IS HAPPENING AT TROUT GULCH ROAD & SOQUEL DRIVE EVERY MORNING TO DEMAND A NATIVE AMERICAN OBSERVER BE ON SITE DURING ANY EARTH DISTURBANCE. Join your neighbors who care about preserving the pre-historic Native American village site to demand that a Native American observer be required to be at all earth disturbance work. We will protest every weekday morning, 7am-9:30am, and Friday afternoon, 4:30pm-6:30pm, at the Trout Gulch intersection until the issue is addressed. CALL the Native American Heritage Commission (Ms. Debbie Treadwell) 916-373-3710 and file a complaint that the Aptos Village Project has no Native American observers on site. None has been notified, as required by SB18 Tribal Notification Law regarding Californai Environsmental Quality Act (CEQA) process. CALL the Santa Cruz County District Attorney 454-2400 and demand an investigation into the travesty that the Aptos Village Project developers are showing nothing but disrespect for the significant Native American archaeological site CA-SCR-222 and the people of Aptos. What does County Supervisor Zach Friend have to say? When I asked him, he replied “Well, you know that the State has declared that (archaeologic) site as insignificant, don’t you?” When I fact-checked that statement with Native American observer Ms. Anne Marie Sayers, she wondered where Mr. Friend got his information because CA-SCR-222 is considered significant. I wrote Supervisor Friend to ask for his sources….stay tuned, but don’t hold your breath because he rarely responds. As for the Planning Department, Historic Resources Commisision staffperson, Ms. Annie Murphy, still has not answered any questions directed to her at the May 12 Aptos Village Project public hearing on the matter. Are you surprised? I’m not. And remember, the Historic Resources Preservation Plan for the Aptos Village Project expired on January 19, 2014. Under Santa Cruz County Code, that means that NONE of the construction activity there is legal. Think about that for a moment, and decide what you want to do about it. APTOS VILLAGE WAS A DUST BOWL LAST WEEK. My neighbor, a compliance officer for a large construction company, stopped by my house last week to show me a video he took of Collier Co. Workers grinding pavement in the Aptos Village road construction area. There was no dust control…and I could barely see the traffic control worker in the enormous dust cloud issuing forth. “See that!” my neighbor exclaimed, “OSHA needs to see that because those guys have no dust control measures and are not wearing any masks to protect their lungs!” Apparently, the silica and contaminants in the dust are quite carcinogenic. Now, isn’t that lovely? So when the Collier workers started mechanically sweeping, and ultimately leaf-blowing the dust toward the group of protesters in the area the next day, we wanted Collier to stop and improve their dust control measures. No luck. The Collier foreman told me he did not want to talk with me. The main contractor (John Madonna Construction) foreman told me to “get out of here” and “go away”, then called the sheriff. The Collier foreman told Deputy Solano that “leaf blowers and brooms are a form of dust contol”. How can that be? I am glad I video-recorded the dense cloud wafting over the man waiting at the bus stop. I think OSHA will be interested. WORK ON VALENCIA ROAD REPAIR BEGAN THIS WEEK. There still is no temporary bridge being installed over Valencia Creek, as Supervisor Zach Friend told the Valencia Elementary School staff and students, as well as adjacent Folling Green Estates residents, would happen once repair work got started. My suspicions that the Valencia Road repair is being stalled in order to make life easier for the Barry Swenson Builder crews and the County project to upgrade things on Soquel Drive and Trout Gulch Road were given evidence this week. While John Madonna Construction was working on demolishing the sidewalk along the Trout Gulch Crossing structures to benefit the Aptos Village Project developers, Barry Swenson Builder crews were tearing up Trout Gulch Road to install the new storm sewer pipeline from the development to Valencia Creek. All of this work is so much easier without the Valencia Elementary School and local rural through-traffic. I just think it is interesting that Supervisor Friend has stated that the temporary bridge will not go in until mid-July….just as the Aptos Village road project ends. Handy, don’t you think? Remember that the Fish & Wildlife rep. Said she was puzzled as to why no work had begun on Valencia earlier….the project had the okay from her agency a long time ago. Hmmmm…..
COUNTY BOARD OF SUPERVISORS OKAY EMBATTLED APTOS/LA SELVA FIRE CHIEF JONES TO OVERSEE THE COUNTY BUDGET AND TREASURY. Second District Supervisor Zach Friend said he felt okay approving Chief Jones to continue as an alternate representing Special Districts as part of the County Budget and Treasury Oversight Commission because, as alternate, Chief Jones cannot vote. I had once again asked the Board to NOT APPROVE Chief Jones’ appointment to this important Commission. We all know, after all, that knowledge about the internal financial workings of the great concrete monolith is probably good insider information. Ms. Driscoll, the County Auditor, Controller and Tax Collector, insisted that she had sent out a letter to all Special Districts to ask for nominees and that no one responded. I asked what the definition of a Special District might be? When did her letter go out? How many Special Districts are there? She did not answer any of my questions. The Board followed Supervisor Friend’s direction and approved Chief Jones even though I pointed out that the Local 3535 and Chief’s Association unanimously voted “NO CONFIDENCE” regarding Chief Jones and hopefully, he will resign soon. I looked into what constitutes a Special District within the County. I was surprised that all of the County Service Areas (CSA) are considered a Special District. That means any resident of Santa Cruz County could serve in the capacity that Chief Jones’ appointment covers, because several CSA’s cover countywide areas for septic tank inspections, freeway lighting, road repair, and fire protection. I wonder to whom Ms. Driscoll addressed her letter for those Special Districts? Hmmmm…….. The Board of Supervisors approved a June 6 Public Hearing for discussing the CSA 48 funding for next fiscal year. I asked for a full accounting of Proposition 172 Public Safety Funding that the County gets every year from a 1/2 cent statewide sales tax. Currently, the Board agrees with County Administrative Officer (CAO) Ms. Susan Mauriello that County Fire should get none of this $17 million pot. Instead, 99.5% goes to law enforcement, with the County Fire Chiefs Association getting the 0.5% crumb. This needs to change… and here is why. County Fire Department’s well-trained volunteers cover the County’s emergency response to the unincorporated areas well. What’s more, when CalFire engines and staff all leave the County to fight fires in other areas of California (and beyond), County Fire Department is the main emergency response agency. So, why won’t the Board of Supervisors take responsible leadership action and divide the $17 million Proposition 172 money more equitably, as other county jurisdictions do? Why has the County Board of Supervisors starved County Fire Department of funding such that now, the reserve balance in the Dept. Budget is ZERO??? Because Old Soquel/San Jose Road is closed due to storm damage, the CalFire Soquel station is unable to respond to any emergency in the Summit area. This places the burden on County Fire Department’s Loma Prieta Station. Don’t you think that needs our financial support? I sure do. Contact your Supervisor and demand that County Fire Department receive 50% of the Proposition 172 money. Attend the public hearing on June 6 if you can, or write a letter. SOQUEL CREEK WATER DISTRICT’S DRAFT BUDGET IS REVEALING. It was sort of an accident that I attended the Soquel Creek Water District Draft Budget meeting last week, but I’m glad I did because the information very interesting. I learned that, even though the District’s Board insists that they have made no decisions regarding whether the proposed PureWater Soquel Project to pump treated sewage water into the area’s drinking water supply, the 2017-18 budget adds in staff and supplies to support the Project. This will increase the overall base operating expenses by 30.46% over last year. I learned that the District borrowed the full amount of the Quail Run Tank Project construction funds in 2013, thinking that the Project would get done quickly, but the tank is still not constructed. The Board lamented that community opposition to projects often sets them back. Director Lather recommended the District consider making use of the State Revolving Fund Loans that would allow borrowing for major projects but extracting lump sums as the project progresses. This would save a great amount of money in debt service, which is $2,488,800 in the proposed budget. Good idea, huh? I learned that the District expects the Water Demand Offset program to remain in place for another 5-10 years. The District installed the program in 2003 as a short-term solution to the critical overdraft problem. The problem is worse now, in spite of the offsets that developers are supposed to do to conserve water to off-set the demand that their new development will cause. Sometimes, the developers just pay a lot of money to accomplish that (but you can’t drink money, can you?). ***I learned that Soquel Creek Water District’s 2017-18 Budget includes $600,000 from Barry Swenson Builder for the Aptos Village Project Water Capacity Fees (I wonder what that means?). ***I also learned that the District’s water rates are second-highest in the State for similar-sized agencies. (Santa Cruz City is third.) THE PROPOSED PUREWATER SOQUEL PROJECT WILL NECESSITATE A 10%-15% RATE INCREASE. If you are a Soquel Creek Water District customer, you might want to attend the June 6 Board meeting to register your comments when the Board is set to adopt the Final 2017-18 Budget. If I were you, I would be concerned. Given all this, the Board agreed to seek applicants for a Federal Legislative Assistance and Support Staff Person. The Board is considering adding this position to lobby for federal grant awards, and paying someone $4,000/month to do that. Wow. The Board also approved the Water Demand Offset Program option that would allow large developers to devise their own water-saving projects in order to push through their project proposals faster. Currently, the new Water Demand Offset program only allows for a total of 4 Acre feet of new demand/year, with a maximum of .5Acrefeet allowed per applicant. That means that if there is a large development, it may take a few years to satisfy the total offset requirement. The Aptos Village Project, for example, will require 38.2 Acrefeet/year. Well, the Board made that easier on big developers, like Barry Swenson Builder. Now, they can just make up their own offset project, in addition to paying lots of money, and scoot on through the bothersome process that everybody else has to go through. The Board even REDUCED the required deposit fee to review the proposal from $1,000 to $600. There will be no requirement for applicants to have their proposal prepared by or signed by a professional engineer or certified landscape architect unless District staff deems it necessary. Wow. This all worries me, especially when staff has publicly stated that verification of Water Demand Offset projects has been a problem in the past. Why not do the responsible thing and declare a moratorium on new connections until a secondary supply is in place? The Water Demand Offset program is bogus, in my opinion. The overdraft problem continues to mount, with seawater moving inland within the groundwater aquifer and threatening the stability of fresh potable water for the region. The Board was close to declaring a moratorium in 2014, but a large new development at Twin Lakes Church shouted it down. Too bad. Instead, Soquel Creek Water District…and Santa Cruz County…continue to bend over backwards for developers, when there is not enough fresh water to supply the increased demand. There is a real disconnect between this reality and the impending land use changes locally. Write your Supervisor or Councilmember. The salt water clock is ticking away…..
WATCH FOR THE HELICOPTER AND MAGNETIC LOOP FLYING NEAR THE BEACHES THIS WEEK. In an effort to find out where the fresh water/salt water interface is within the aquifer areas beneath the Monterey Bay, the Mid County Groundwater Agency is paying $100,000 for a company from Denmark to do a study. The helicopter that we may see soon flying at low altitude near the beaches will begin in Marina and move along the coastline to the Santa Cruz harbor. The crews and equipment will stage at Seascape Park, Aptos. The idea works on electrical resistivity, and the study will hopefully generate a snapshot map of areas where salt water intrusion inland is most imminent. I appreciate the volunteers from the Sierra Club that will be monitoring the study for effects on bird populations and sea life. The Mid County Groundwater Agency Board met last week to approve the application process for deciding who will be on the Plan Committee to design a sustainability plan for the Purissima Aquifer users that will reverse the overdraft problem and heal the aquifer by 2040. I found the discussion and subcommittee proposal very confusing. The application is vague, but the Board obviously has clear ideas amongst themselves as to qualities they will be looking for in those who apply. Does that seem transparent to you? I don’t think so. The Board discussed the merits of approaching various organizations to submit a nominee from their group. The criteria for selection was not discussed. The process of selection and interview was not discussed. Board Chairman Mr. Bruce Jaffe, who represents Soquel Creek Water District, had to be reminded several times to include public comment throughout the meeting. When I asked to speak about the application for the Plan Committee, he agreed, after a motion had already been quickly made to adopt the application proposal. I asked that the Board create a job description for the Plan Committee applicants, and clearly state what the criteria for selection would be. I urged this in the spirit of fairness and clarity to all applicants. “Uh-huh,” said Chairman Jaffee when I finished, and without a breath, asked for a vote on the proposed application. The approval was unanimous, and without any discussion of the issues that I raised. WHAT’S THE PLAN FOR RANCHO DEL MAR CENTER? Remember when there were THREE large Cypress trees lining Soquel Drive in Aptos, across from Rancho del Mar Center? And remember when the Aptos Rancho Road, also across from Rancho del Mar Center, was lined by large Monterey Pine trees? And remember when there was a meadow and apple orchard across from Rancho del Mar Center? I do…but I have lived in Aptos for 32 years. Now, all that remains of those majestic trees is ONE Cypress tree. A couple of weeks ago, I saw a survey marker against it’s trunk… Oh, oh. Does anyone know about a Heritage Tree Ordinance in our County and cities? Let me know if you do. I’ll be researching the matter for next week. 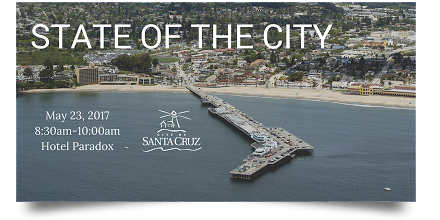 I live in the City of Santa Cruz, and I am quite interested in the “State of the City.” I am particularly interested because the City of Santa Cruz seems to be pursuing a number of planning projects that could radically alter the city’s current (and historic) shape and character. One such project would involve putting high-rise structures on the City’s Wharf (the same wharf pictured above). Lots of people (over 2,600 at last count) have joined a “Don’t Morph The Wharf” campaign to try to send the message to city leaders that the City should be retaining the historic character of the Wharf, one of the most popular places in the City for both tourists and “locals,” alike. Then there is the plan to put high-rise structures all along the City’s main transportation corridors. I was at a Planning Commission meeting last Thursday evening (5/18), on that subject, with about 100 persons in attendance. All but two or three of the people who testified indicated a strong opposition to turning Mission Street, Ocean Street, Water Street, and Soquel Avenue into high-rise “corridors,” where existing structures would be torn down in favor of new “mixed use” buildings going up to 55 and 65 feet in height. The current proposal would have very adverse impacts on traffic (already horrendous) and make the adjoining residential neighborhoods much less livable. Those neighborhoods, of course, are where members of the “community” actually live. Those community members are not seeing any future “benefits” to them, from this so-called “corridors plan,” and they wonder just who is going to benefit. (Stay tuned, I have an idea that I’ll share at the end of this blog posting). Maybe the worst part of the so-called “corridors plan,” besides its basic feature of helping to turn Santa Cruz into a seaside version of San Jose, is the impact that the plan would have on real estate prices, driving them ever higher, and thus making it even harder than it already is to find, or build, affordable housing. 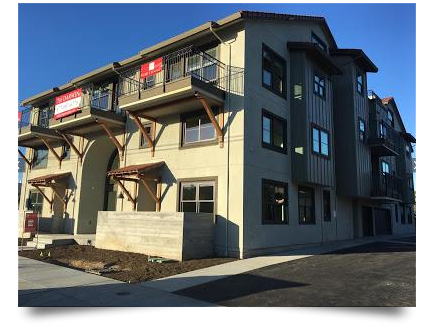 The new development on Darwin Street, shown below, began with the tear down of an existing home, and this kind of “development,” exactly what would be promoted by the so-called “corridors plan,” will most emphatically not give us more affordable housing. Rents for the new units pictured below will be over $3,700 per month. Anyone interested in that so-called “Corridors Plan,” by the way, should probably mark their calendar, and plan to show up at the Planning Commission’s next meeting, scheduled for Thursday, May 25th, at 7:00 p.m., at the Santa Cruz City Hall. Here’s a link to the Planning Commission agenda. Santa Cruz Mayor Cynthia Chase, City Manager Martín Bernal and city department heads will deliver the city of Santa Cruz’s State of the City address from 8:30-10 a.m. Tuesday at Hotel Paradox, 611 Ocean St. A continental breakfast will be served. [In fact, it costs $15 to get in, and seating is limited]. The address will provide an update on city achievements, challenges and initiatives to strengthen Santa Cruz as a place to do business (emphasis added). I think there is something wrong with the fact that our elected and non-elected city officials are reporting on the “State of the City” in what amounts to a private meeting, held at an upscale hotel, scheduled during the working day when most people can’t attend, and with a $15 ticket price to get in. Having been an elected official myself, I think these “State of…” events should be public, not private, and should address members of the “community.” After all, the officials giving the report are supposed to be working for them. Members of the community shouldn’t have to pay, either, to hear from their own local officials about what is going on. Nothing wrong with business, but the purpose of a City is not to benefit business. It is to benefit the community at large. Thinking about that so-called “Corridors Plan,” it is pretty clear that business people and developers will just love what the so-called “Corridors Plan,” would do for them. For the rest of us, though – for the “community” that lives in Santa Cruz now – there is a whole different answer. CLASSICAL DeCINZO. DeCinzo and Highway 17 Traffic just scroll downwards. EAGAN’S DEEP COVER. 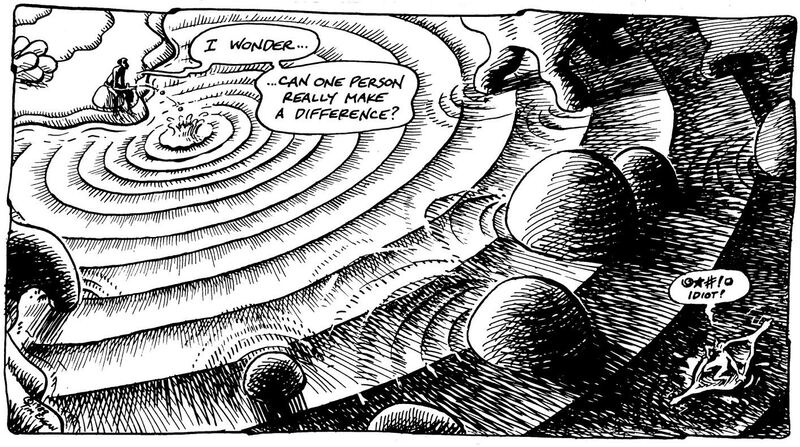 See Eagan’s classic ” Subconscious Comics” down a few pages. As always, at TimEagan.com you will find his most recent Deep Cover, the latest installment from the archives of Subconscious Comics, and the ever entertaining Eaganblog. HOWARD IKEMOTO – “THE LAST SHOW”. 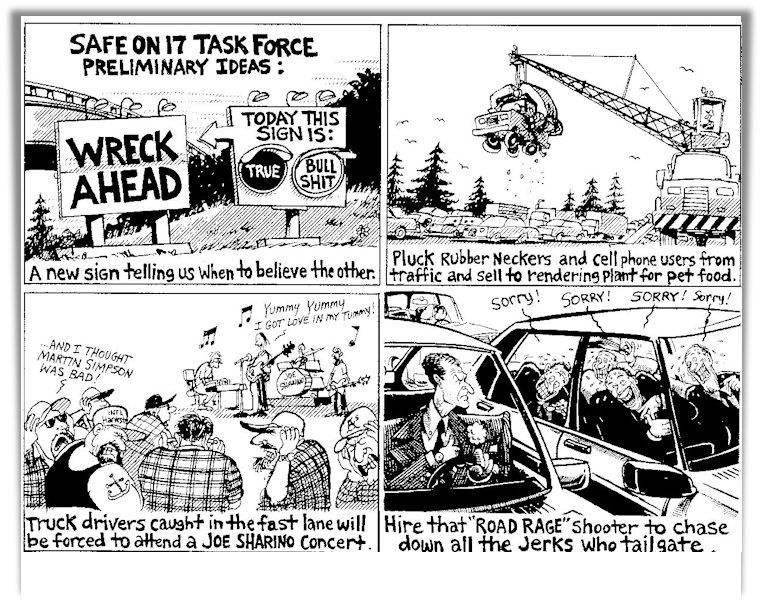 Howard Ikemoto was not just a good friend to almost everybody… he had a sense of humor I’d call sardonic. More than that he was a fine artist. You can see his work online at https://www.howardikemoto.com . His paintings, drawings, and prints will all be on display at the Cabrillo Gallery, which is in the Library building. It’s special, so it’s limited to June, 2,3, & 4 from noon-5 p.m. He taught at Cabrillo for 34 years. This will be our only opportunity to see this part of his work. Much of his art is in galleries and museums. LISA JENSEN LINKS. Lisa writes: “Matisse meets Diebenkorn at SFMOMA this week at Lisa Jensen Online Express (http://ljo-express.blogspot.com). Also, join me in pondering writing advice from Stephen King, and discover a blueprint for resistance as architectural critic Jane Jacobs takes on urban planning in the excellent new documentary Citizen Jane.” Lisa has been writing film reviews and columns for Good Times since 1975. ALIEN:COVENANT. I looked up “covenant” it means.. to engage in or refrain from, a restriction, an agreed relationship. But never mind, this is of course another Ridley Scott chapter in his hugely successful Alien sequels. No big stars except Michael Fassbender (but he plays two roles!). There’s also Billy Crudup and Sam Waterston’s daughter Katherine in lead roles. For Alien fans and collectors there are plenty of original Alien reminders. There are also copies of 2001 touches, if you care. Actually it’s another space monster alive and killing in the space ship drama, OR will the space monster make it back to earth melodrama. It’s an exciting film. You’ve seen almost all of it before but if you do go see it, be very sure it’s in a theatre on a big screen. THE WALL. John Cena is the almost last survivor in an Iraq battle. He and an invisible sniper almost have a Beckett like ongoing conversation/relationship….except that there’s murder and killing at the base of the entire film. You’ll feel illogical flaws and wonder “why’d he do that” more than once. It begins as a masterpiece of tension and meaning but loses its way about half way through…but it’s a good film. Sometimes you just can’t go wrong with Ellen! “In the End, we will remember not the words of our enemies, but the silence of our friends”. Martin Luther King, Jr.